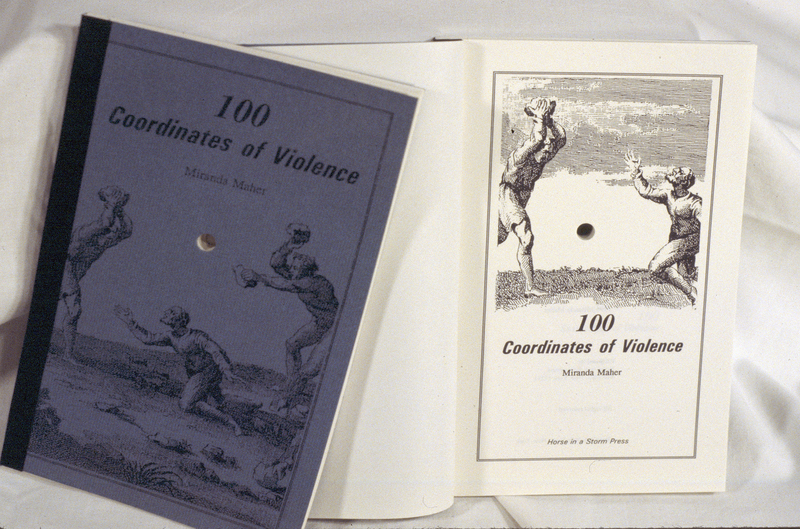 Incidences of violence–contemporary or historical–are identified only by their longitude and latitude. A short poem introduces the work, and an epilogue succinctly laments unrelenting violence in all its forms–war, murder, execution. A Hole is drilled through all the pages to reference the marking point on the earth.